Come ogni inizio anno che si rispetti, messa in archivio l'abbuffata natalizia, parte il toto scommesse sul nuovo Assassin's Creed. Location, protagonista, studio di sviluppo. Chi più ne ha più ne metta. A dare il la ai rumor quest’anno è PSU.com, al quale è arrivata voce da un dipendente Technicolor, azienda specializzata in animazioni, di un nuovo Assassin’s Creed in lavorazione con nome in codice Dynasty. Technicolor in passato ha lavorato a a giochi come FIFA, COD, Resident Evil e ha collaborato anche con Ubisoft stessa. L’ambientazione cinese però, è una pura supposizione di PSU.com, nata dal fatto che il termine “Dynasty” potrebbe rimandare alle grandei dinastie orientali. Potrebbe però trattarsi del solo nome in codice del nuovo episodio, e null’altro. [UPDATE 2] We want to make it clear that at no point in the following article do we state that the new Assassin’s Creed is set in China. We purely speculate based on the name that we were told. Based on discussion with game industry journalists since this leak, we’re now even more certain that ‘Dynasty’ is the codename for the new Assassin’s Creed game. [UPDATE 1] To clarify, our source no longer works at Technicolor, and we were incorrect to state that they are “currently working” on Assassin’s Creed ‘Dynasty’. We’ve also had another idea about where ‘Dynasty’ may be set. Our initial speculation was about China, but there are other places this could go. To Japan, for example. How about the Yamato Dynasty? There’s a lot of history there, and it would also make a great setting! The next Assassin’s Creed game will be called Assassin’s Creed Dynasty, claims an employee working on the game’s animation at Technicolor. Speaking exclusively to PlayStation Universe, our source works at Technicolor based in Bangalore on the animation team and claims he is working on the new Assassin’s Creed instalment right now. Technicolor’s animation team have worked on many big games in the past, including the FIFA, Call of Duty and Resident Evil franchises. We’ve done a bit of digging too, and know that Technicolor has also worked with Ubisoft in the past, and indeed most of the gaming powerhouses. Is Assassin’s Creed Dynasty The Next Big Ubisoft Game? Now, first up, Dynasty could just be the codename for the new Assassin’s Creed game. This wouldn’t be unusual as Ubisoft used the internal codename Empire for Assassin’s Creed Origins. However, the word ‘Dynasty’ is pretty much synonymous with China, and with so many different eras to choose from Ubisoft is spoilt for choice. However, the most well known is undoubtedly the Ming Dynasty, and Ubisoft has touched on this era in the past with Assassin’s Creed Chronicles: China. The platforming game was set in 1526 with the Ming Dynasty starting to crumble, and players took the role of Shao Jun, an Assassin of the Chinese Brotherhood. 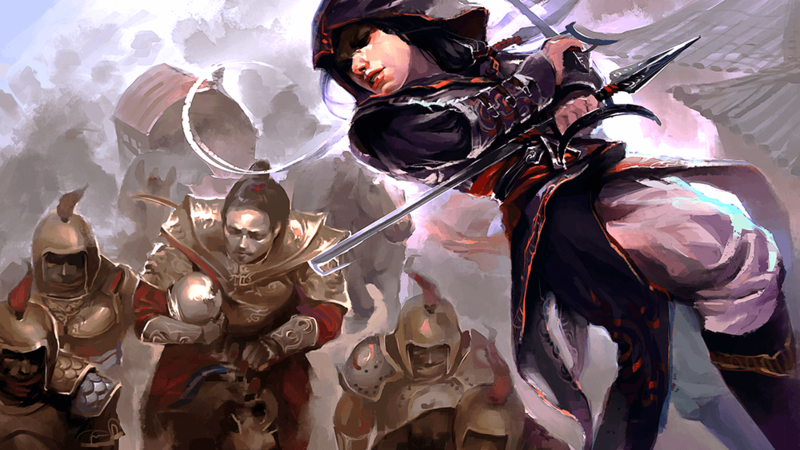 Re: [Multi][Rumor] Assassin's Creed Dynasty: prossima meta la Cina? Ci ho pensato anche io, ovviamente. Infatti volevo scrivere, a chiusura del primo post, Assassin's Creed del prossimo anno: Dallas. Sarebbero furbi,la Cina è sempre più una realtà di tutti i giorni,ed un potenziale mercato infinito. A parte che il capitolo in cina c'è già stato (anche se nessuno se lo ricorda), sta deriva del "scegliamo l'ambientazione affine al mercato più remunerativo" sarebbe in pieno stile Ubilol, quindi temo proprio che sia tutto vero..
Ma ancora vende sto gioco di merda? Io ho mollato al terzo, Brotherhood. Da qui il tentativo francese di rincoglionirli,il secondo tentativo come ricorda Max. In effetti è giusto, lì c'è un posto vacante lasciato da Kratos.